Ryerson University has snatched up two properties along its eastern border to add to its bank for future development. 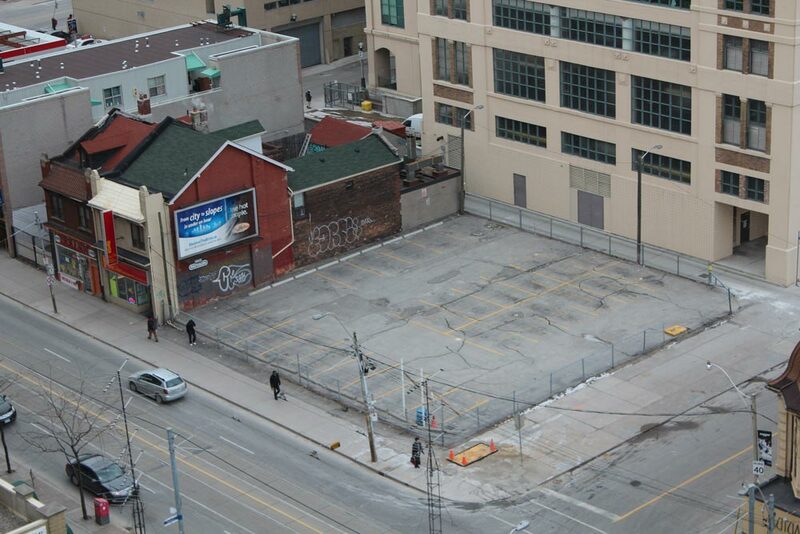 The first site, 202 Jarvis St., is a 5,400-square-metre parking lot at the corner of Dundas and Jarvis streets. The second, 136 Dundas St.
E., is a smaller parking lot south of the animal clinic on Mutual Street, measuring 750 square metres. According to Ryerson President Sheldon Levy, Ryerson can’t continue to develop programs without easing the pressure of space for lectures, tutorials and a growing student body. The additional space will give the university the opportunity to explore and invest in more undergraduate and graduate programs. Julia Hanigsberg, vice-president administration and finance, said in an email that Ryerson’s most recent land acquisitions are within the ideal “academic zone” outlined by the 2008 Master Plan for Ryerson’s infrastructure, design and academic development on campus. The university has not yet decided what the larger plot of land will be used for, but Hanigsberg insisted finding a space for the faculty of science continues to be a key priority. Ryerson paid $32 million to Infrastructure Ontario for the two plots of land ($29 million for the larger and $3 million for the smaller.) Both will serve as parking spaces for the Ryerson community until capital funding from the provincial government becomes available. The university allocated the last block of funding from the provincial government – $56.4 million – to the Church Street Development project, which will house the faculty of health sciences. The university has also expressed interest in 222 Jarvis St. The lot is being retrofitted by the Ontario government for $100 million.